We maintained existing water infrastructure in Eltham and Research, ensuring the reliability of our water supply to our customers in the area. Decommissioning an existing water pumping station in Butterfield Reserve (open land north-east of Stokes Place, Eltham). 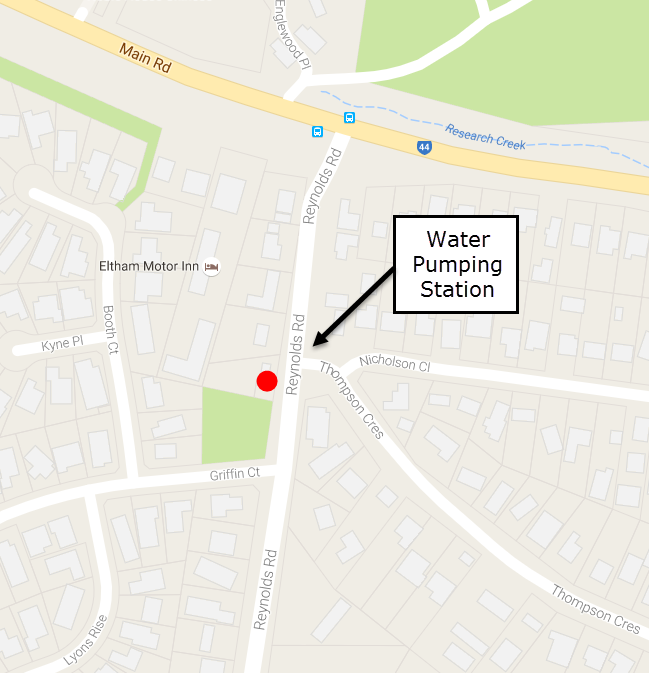 The existing water pumping station (WPS) in Reynolds Road has played an important role in supplying the Eltham community with drinking water, as it pumps water up over hills via underground water pipes. Between October 2016 and August 2017 our contractor, Comdain, upgraded the pumps, pipework and switchboards of the WPS in Reynolds Road. 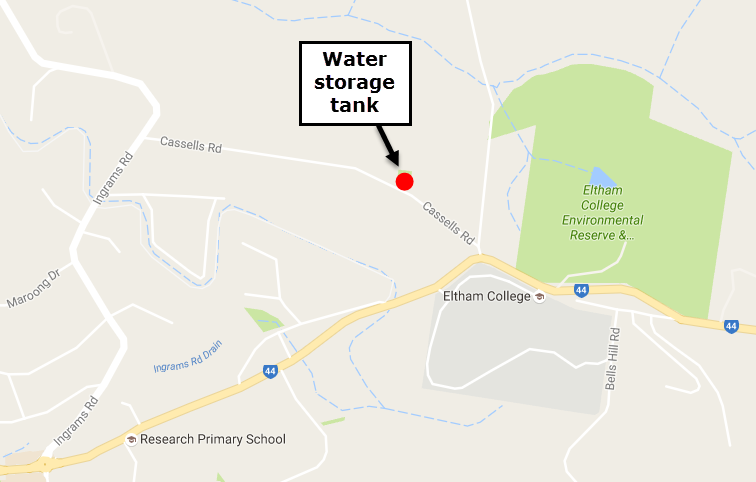 The water storage tank (the ‘golf ball’ tower) was located in Cassells Road, and for many years it played an important role in supplying the Research and Eltham communities with drinking water. However, due to prior upgrades of water supply infrastructure in the area, these communities are receiving their water supply in a more reliable way. The storage tank was no longer operating and as it no longer served a purpose, the time had come for it to be removed. Decommissioning works occurred between November 2016 and January 2017, and the tower was removed in March 2017. The Water Pump Station (WPS) located in Butterfield Reserve (open land north-east of Stokes Place, Eltham) played an important role in supplying the Eltham community with drinking water, as it pumped water up over hills via underground water pipes. As the WPS in Reynolds Road had been upgraded, this infrastructure was no longer required. The Butterfield Reserve WPS stopped being operational in May 2017 and was demolished in early August 2017. If you have any questions or feedback about these works, please contact the project manager, Rebecca King, directly on 9872 2617.